So let’s get back to the tale of the demise of Harriette’s and Lord Worcester affair. But as usual here is the quick recap of the history of this series of posts for anyone joining Harriette’s story today, as always, if you’ve read it before skip to the end of italics. Last week we left Harriette under pressure to relinquish all of Lord Worcester’s love letters, particularly any promising to marry her. Harriette’s answer to this pressure, was to take all his letters to a solicitor. The solicitor’s answer, after reading all the ‘repeated and solemn promises of marriage,’ spanning over two years was to tell Harriette ‘I conceive the damages, if he should now declare off, would be rated, at least twenty-thousand pounds!’ – which was a lot at a time a house could be bought for a hundred pounds or less. Harriette told Lord Worcester’s father’s bully boy this, and even though he agreed to put an offer to the Duke of Beaufort, Harriette refused to negotiate through him. Instead she wrote to the Duke Beaufort herself and delivered the letter to his town house, by hand. She says she merely gave him the letters back. With and explanation claiming she meant no harm. 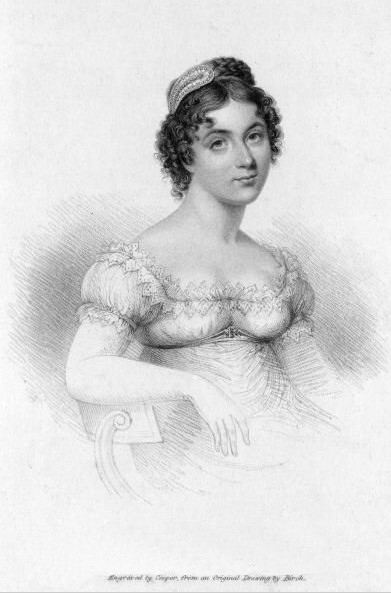 But even as she gave those letters back, Harriette tells us Lord Worcester is writing more, and visiting her twice a week in town, or in a village half way between London and Brighton, while his parents, and his mother’s young male friends are still seeking to persuade him to have nothing more to do with her. Then one day Harriette received a letter that confused her. ‘Such an incoherent scrawl I never had known him, nor anybody else, write before! It was all over wives and angels, and eternal constancy, and eternal despair! !’ She said it was blotched as though he had cried over it, and what it was trying to tell her was that he was being posted abroad as an aide-de-camp to the Duke of Wellington, under the specific request of his father. It sounds very unlike the Harriette we’ve been reading about the last few months, either she really did have a conscience buried somewhere inside her, or she finally realised any chance of becoming a future duchess were now nearly written off. Here’s one key thing I’ve learnt from Harriette’s memoirs though. The door was not answered by a butler, as we all say in our historical romances, it was attended by a porter, she uses this term in several points in her memoirs, I don’t use it in my books, it would just confuse people, but when you think about it, it makes sense the most important male servant would not have stood near the door all day. Harriette describes how when the porter opens the door to her, he looks at her suspiciously as she has come without a maid or footman, and she says he looked at her as though judging the Duke’s morality, she assumed he wondered if she was about to declare a child by the Duke. He then challenged her asking if she was certain it was the Duke himself she wanted to see. But when she gave him a note, asking the Duke if he’d speak to her, and asked him to take it the Duke, then her eyes flooded with tears, he gave in and agreed to take it. Harriette feared one or two of the footmen would put her back outside the door as she waited while the Porter handed the letter to another servant to take to the duke. Harriette was left to wait in the grand hall for a quarter hour, sitting with her handkerchief to her eyes and looking at the floor. But then the Duke came down to the hall himself, and actually apologised for leaving her waiting in the hall. He took her into the dining room to talk and there Harriette says she burst into tears and so he fetched her a chair. She says she then offered to do all she could to end her affair with Lord Worcester if he would not send his son to war because of her. His answer is that it is too late now to change it, and then he began to lecture her although not sternly, on how she should never have hoped to marry Lord Worcester, saying such unequal marriages seldom worked. She still claims she had no intention of it. The Duke agreed to shake her hand at the end of the conversation (I feel that might be a little like Jesus turning his left cheek. It had some other meaning. Turning your left cheek was an insult to the person who slapped you not a gesture of submission, perhaps offering her hand was forcing him to treat her more like an equal). He also fetched her a glass of water himself before she left, and walked her to the door, although he called for his porter to open it. 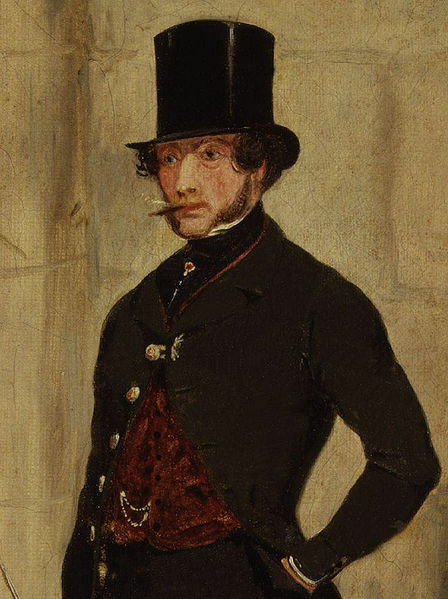 The conclusion was that Lord Worcester was to go to war, and yet he insisted that before he left he was allowed to come to London and spend two full weeks with Harriette, spending the whole of every day with her, despite his mother using her servant who was Lord Worcester’s man servant to do her best to interrupt them. ‘My Lord, Will Haught would say through the key-hole of our bedroom, my lord the Duchess desired me to tell you that she has a great deal of business to settle with you today, about, in short, about all manner of things my Lord. Very well, that is enough, Will. His Lordship would answer. In another hour his torment would knock again. My Lord, Her Grace looked rather displeased this morning. The Duchess was almost in a passion. You be damned! Go along! Was the elegant reply. My Lord (in another hour), ‘you see I’m tired of standing in this here room, and the Duchess this morning – I assure you my Lord – your Lordship knows what I mean, Her Grace had got a very particular look in her face; you know my Lord, how she looks when she’s vexed liked, and takes on, you know, my Lord. Go to hell! Vociferated Worcester, from the emergency of the case although he had by no means the habit of swearing. I had to share the exchange she recorded, it’s just such a fabulous window into the past. Anyway, in that two weeks it was all planned for Harriette to go with him, they had even hired a female servant for Harriette, but Lord Worcester was ill with worry, and when they rationalized it Harriette would have only been able to travel as far as Lisbon, and if she was to stay in Lisbon and not see him, she might as well stay in London and not see him. Lord Worcester also admitted she would make a coward of him, because he knew he would not be able to go to war if he feared she were ill or lonely and stuck in Lisbon. Lord Worcester had asked his father to settle money on Harriette, before he left, a quarterly annuity, but as soon as he was gone, his father sent his bully boy back to agree a single sum, that would ensure Harriette left Lord Worcester alone and for the rest of her life. There is a little more to their story, but I’ll end the post today, with Harriette’s reflections as she writes this piece. Sad to think his complete devotion died so flatly in the end. Posted on September 29, 2013 by janelark •	This entry was posted in Regency Stories, Scandalous Women and tagged 1800s, 19th Century, Courtesans, Harriette Wilson, Historical Novels, Historical Romance, history, Jane Lark, novels, passionate, regency, regency books, Romance, writing. Bookmark the permalink. Such powerful emotions – and the power of wealth…heart-rending!